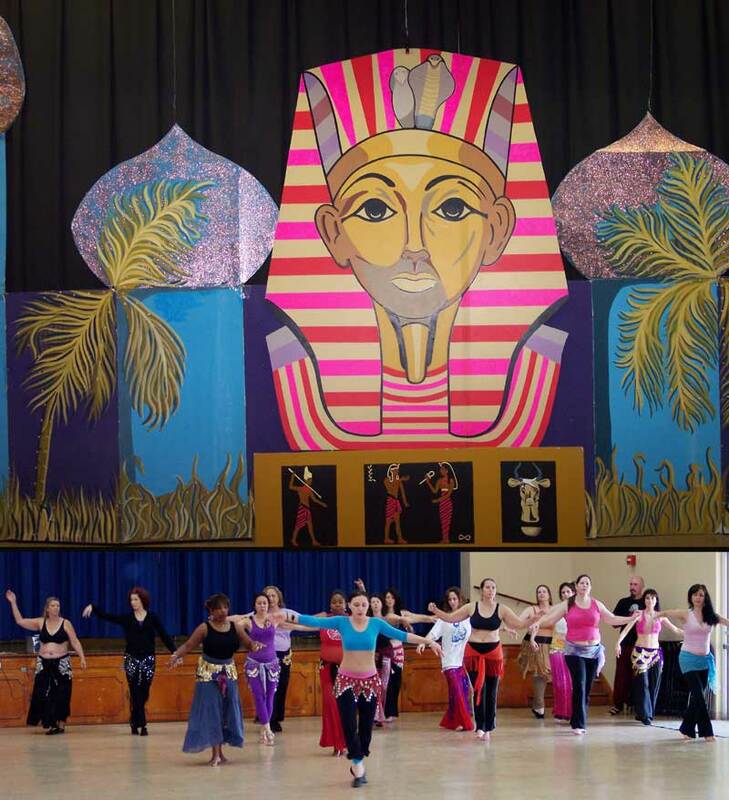 The Kismet dancers of Miami specialize in Dance Troupe Performances .The founders and directors of the troupe are Kahreen and Kira.The troupe has been featured in many shows and events such as the Arabian Nights Festival , Sponsored by the cities of Opa Locka and Miami Shores,star in the yearly affair of the Egyptology Society at the Museum of Science , featured on all the local T.V. stations , performed for Hilary Clinton and were voted the Dance Troupe of the Year in 1997 and 1998. Just to name some. Kira (picture at right) not only dances with the troupe but is an accomplished solo artist. she also performs duets with fellow troupe member and mother Kahreen but is also the choreographer . 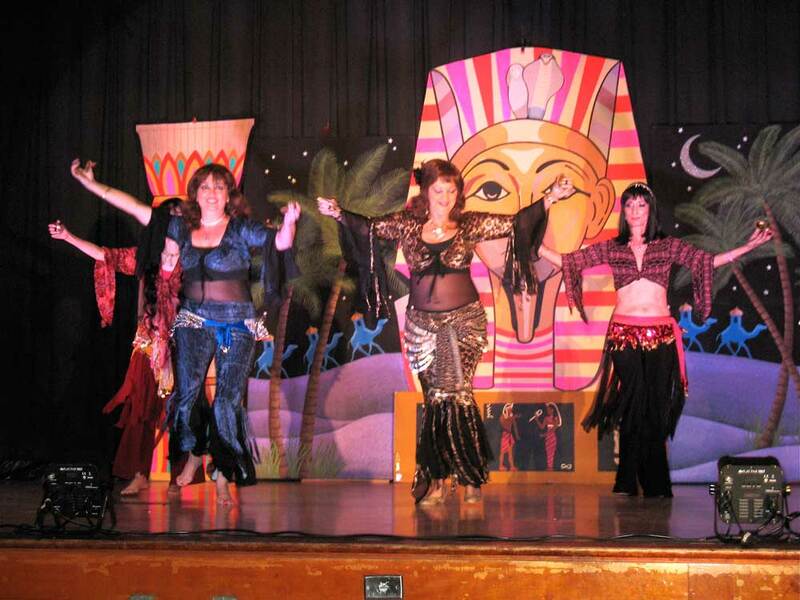 It is her unique visions of the dance that give the Kismet Dancers a look all of their own. 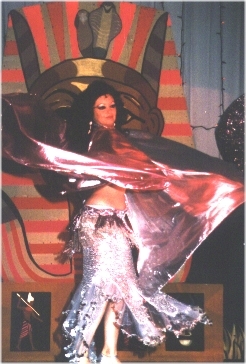 Her unique blend of middle eastern dance ,laced with modern dance is always designed for theatrical presentation. You can always depend that her dance segments will be exciting , dramatic , authentic , professional and always designed to give the audience the best that the middle-eastern culture has to offer. Kahreen (pictured at the left) is the founder,director and all around spark plug of the Kismet Dancers. She is a master craftsman with a flair for make-up ,costumes and staging. You can always depend on a performance to be colorful and dazzling to the eyes. Kahreen has an innate sense for presenting middle-eastern dance ,with it's traditions lasting thousands of years, with a new freshness and vibrance , which allows this dance form to take it's rightful place among the arts in today's modern theatre. Angela(left) is a multi-talented member of the Kismet Dancers of Miami. Angela is a serious master of the craft. She also performs in a chinese dance troupe as well as teaching and performing ballroom dancing. She is incredible to watch , when she performs the Tango. for Troupe of the Year! Oasis 2002 Troupe of the Year Award! celebrating twenty-eight years of success!